Just add a pinch of positivity and a dash of unicorn magic to achieve Pop! perfection! Bring home the WWE Raw Tag Team Champion Big E, dressed in his gold and white outfit. 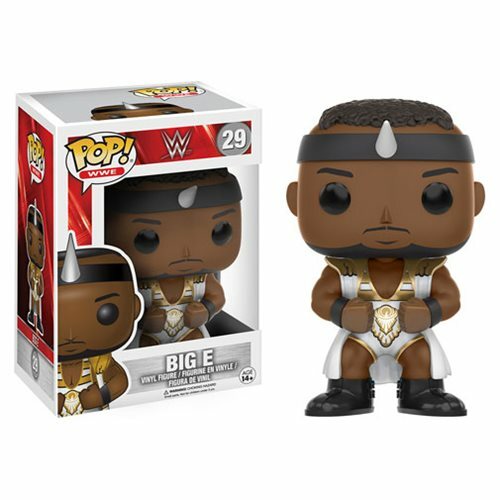 Packaged in a window display box, the WWE Big E Pop! Vinyl Figure measures approximately 3 3/4-inches tall. Ages 14 and up.